With all the excitement about the upcoming Disney Pixar movie Inside Out, I thought I would share some of their inspired dishes with you! You can print all of these recipes here. 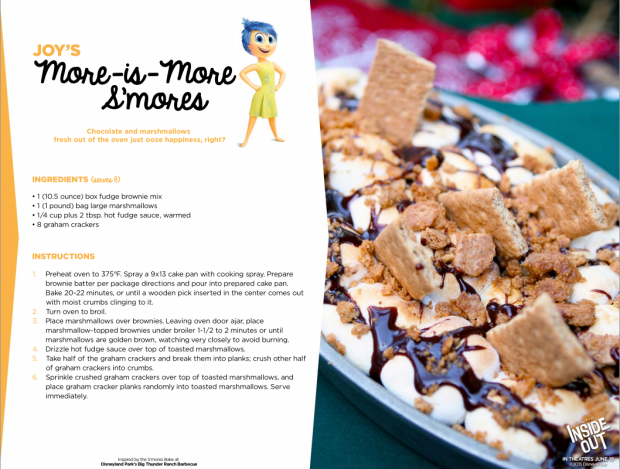 First up is Joy's More-is-More S'mores! Inspired by the S'more's Bake at Disneyland's Big Thunder Ranch BBQ. Disgust's Is-That-Broccoli? Pizza which is a major staple in the movie and they even made it for the premiere. It's now being served as “Congratulations San Fransisco, You've Ruined Pizza” at the Pixar Animation Studios' Luxo Cafe. 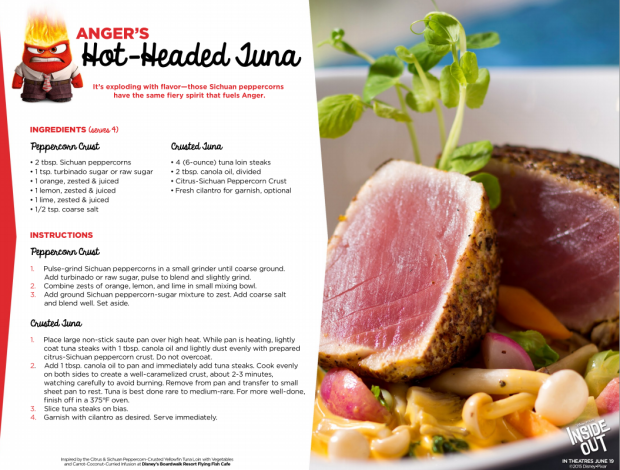 Next, is Anger's Hot-Headed Tuna inspired by the Citrus & Sichuan Peppercorn- Crusted Yellowfin Tuna Loin with Vegetables and Carrot-Coconut-Curried Infusion at Disney's Boardwalk Resort Flying Fish Cafe. Will you be going to see Inside Out when it hits theaters June 19th? 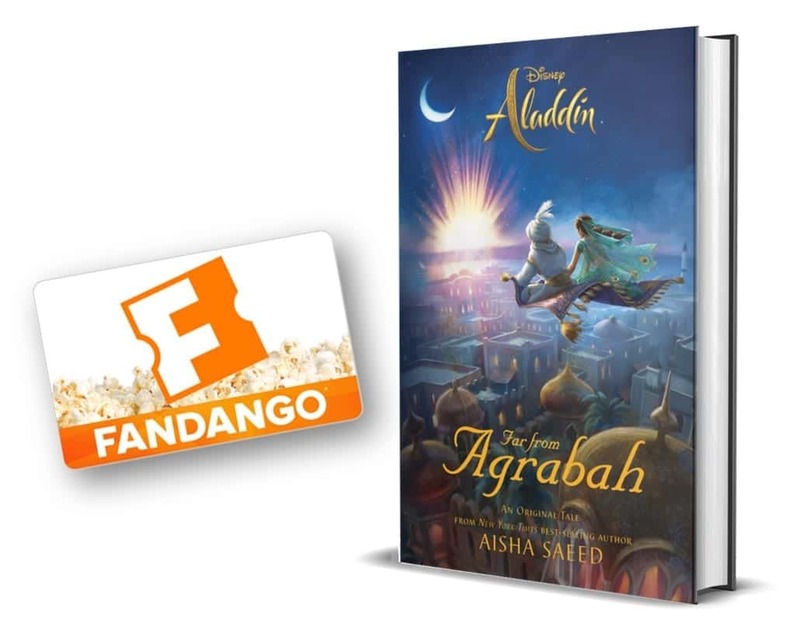 I can't wait to tell you my thoughts on the movie. All I'm going to say is make sure you see it with your kids this summer. Do you ever look at someone and wonder what is going on inside their head? Disney•Pixar’s original new film “InsideOut” ventures inside the mind to find out.